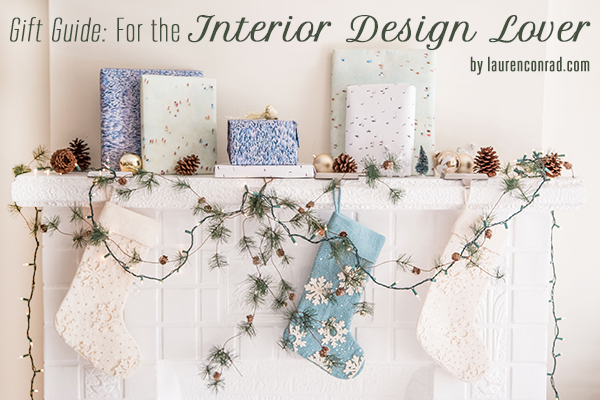 Given that the gallery wall is one of the biggest interior design trends right now, we decided to focus this year’s décor gift guide on prints for your home. 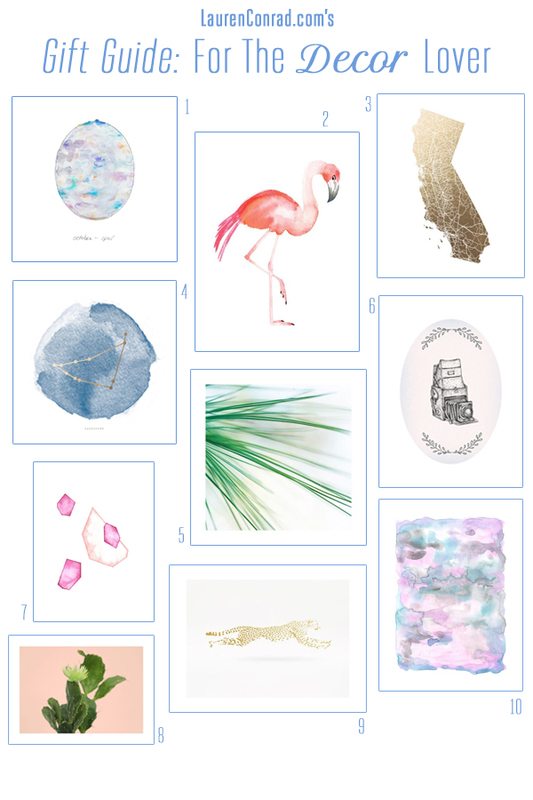 And when it comes to art prints, Minted tends to be our one-stop shop. That’s because Minted is actually a marketplace of independent artists and designers. 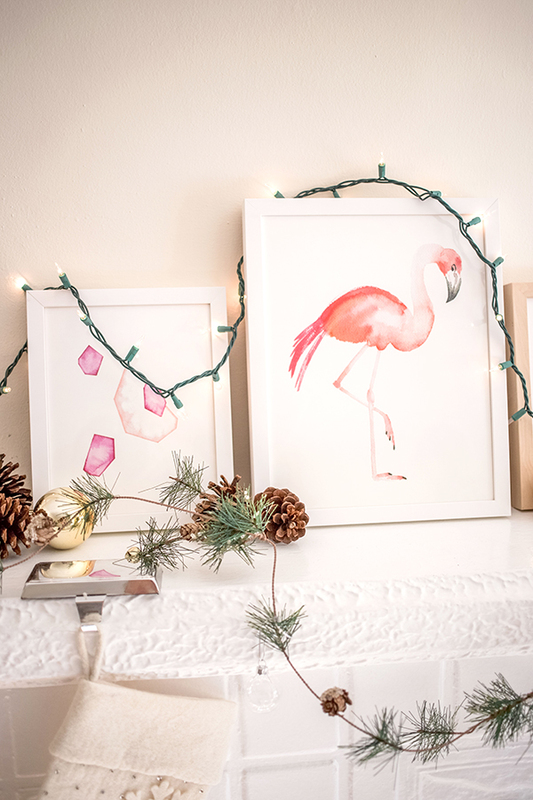 So instead of finding only one specific style (like you do with lots of home décor shops) you’ll find a wide variety of artwork to suit everyone on your list. Maybe your sister loves a graphic, black-and-white look, your bestie adores feminine watercolors, and mother-in-law prefers personalized photo art. 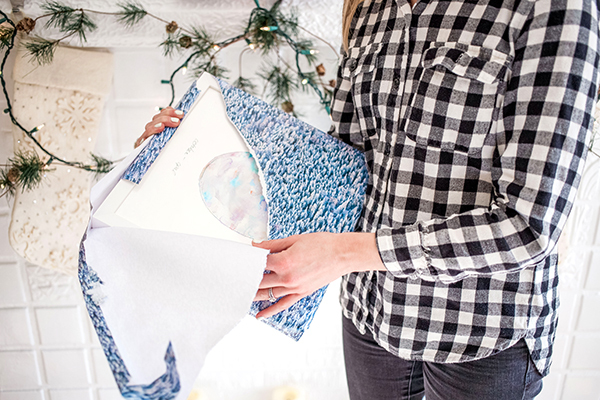 You’ll be able to find it all on Minted’s website. Their art assortment includes foil-pressed, unique photo collage, state and alphabet designs—all offered in a variety of sizes. 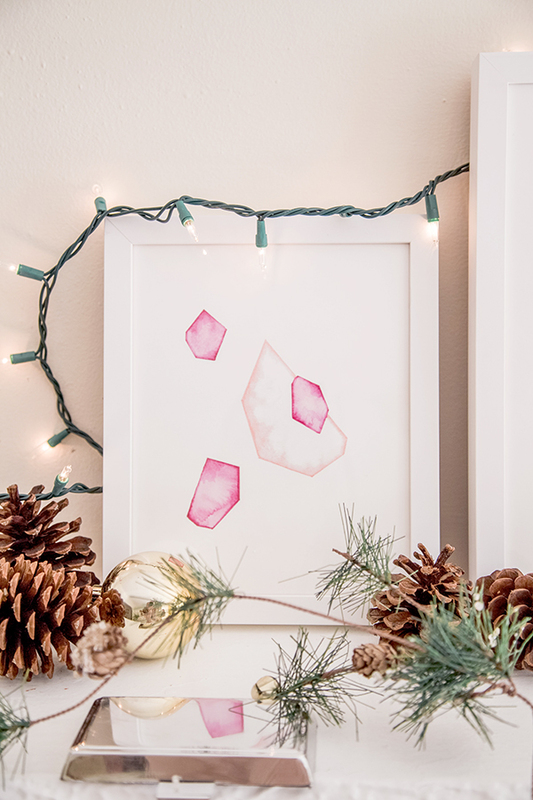 We really love the idea of gifting art because it feels truly personal and special. Lots of Minted’s prints are limited edition or can be customized with your own photos, which adds an extra special touch. 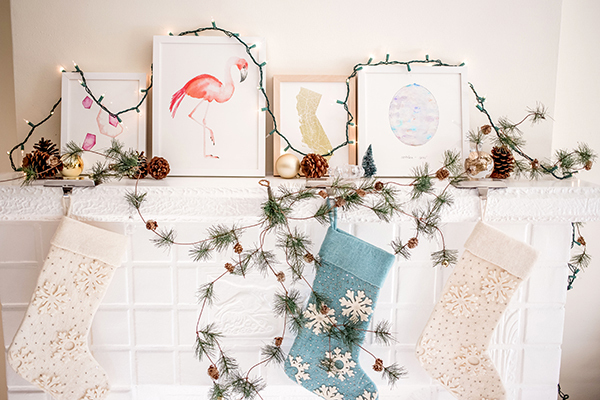 Minted also offers 12 different framing options, making your gift a finished, ready-to-hang product. Lots of people gift pretty frames during the holidays, but we love turning that idea on its head and making what’s inside the frame the focus. 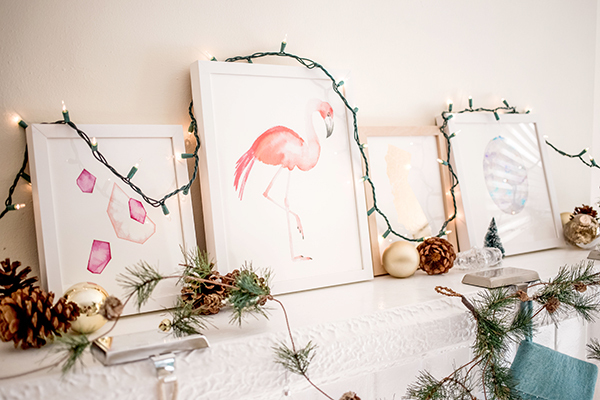 We hope you’re feeling lucky today, because Minted is offering two of our readers $350 toward holiday cards and art gifts from Minted! And just for entering, you will receive an email with a promo code for 15% off your purchase. Which one of these prints is your favorite? We love them all… Honestly, it’s so hard to decide!